The original price of the smartphone is AUD79 and customers will be able to take advantage of the deal starting April 2 as part of the store’s Easter promotion. In addition, there’s also a free colored cover included. 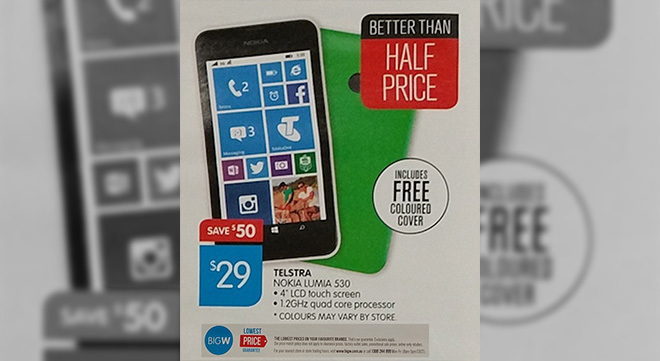 With its 4″ WVGA display and Snapdragon 200 chipset, the Lumia 530 runs Windows Phone 8.1 and is a great smartphone to cover anyone’s basic phone needs.